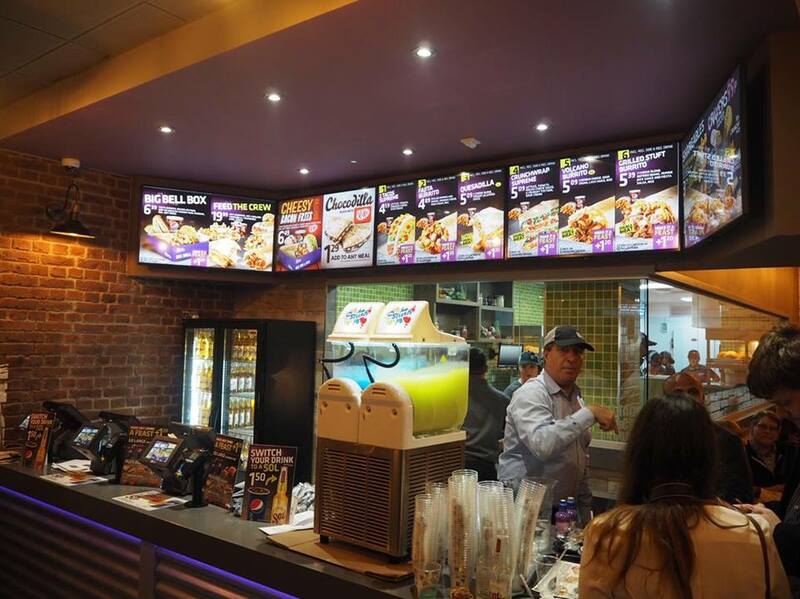 Then we were told a little bit about the chain and greeted by the General Manager for UK and Europe Taco Bell, and I learnt some interesting facts including that the chain was the first to employ female managers as well as being the pioneer of the refillable drinks machine! We got to try the beef tacos, a chicken wrap and the pork quesadillas and all of them were so so good. I honestly don't think I've ever eaten that much!! 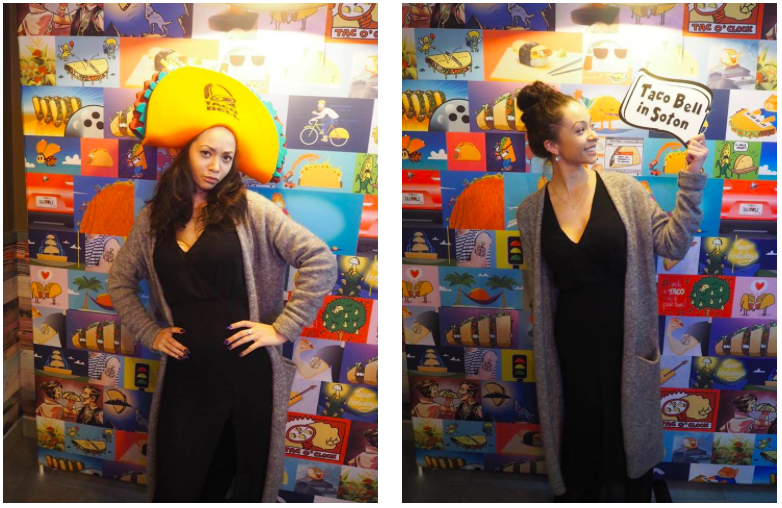 The Photo Booth was also super fun and i discovered that I don't suit a Taco hat, but i do like the angle from the side so that was a not to self.